The Aggies will open up the season with the Crimson & White Scrimmage on Sept. 13, followed by a head-to-head match-up with West Texas A&M on Sept. 20 to start the regular season. NM State will round out the month of September in Manhattan, Kan., with match-ups against Kansas State and South Dakota State, Sept. 25-26. NM State is back in the arena Oct. 17-18, as they host Tennessee-Martin and Fresno State at the NM State Equestrian Center. A trip to Brookings, S.D., Oct. 31-Nov. 1 to face SDSU and SMU rounding out the fall schedule. The Aggies are back in the saddle Jan. 29-31, first facing Baylor in Waco, Texas, Jan. 29, then travelling to College Station, Texas Jan. 30-31, to compete against Delaware State and Texas A&M. NM State’s lone competition in February is a Hunter Seat only event against Alabama, Feb. 21. Senior Day will be held March 13 as the Aggies host Auburn. The final regular season competition for the Aggies will be the Independent Invitational Tournament in Fresno, Calif., March 27-28. 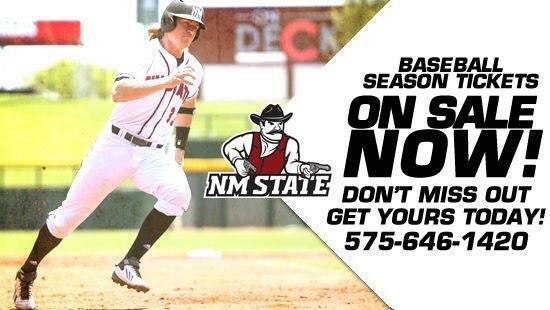 NM State will face Fresno State, SMU and SDSU that weekend. The season will wrap up April 16-18 in Waco, Texas at the NCEA Championships. For more information on the NM State Equestrian team visit NMStateSports.com.